Is your warehouse flue space compliant? 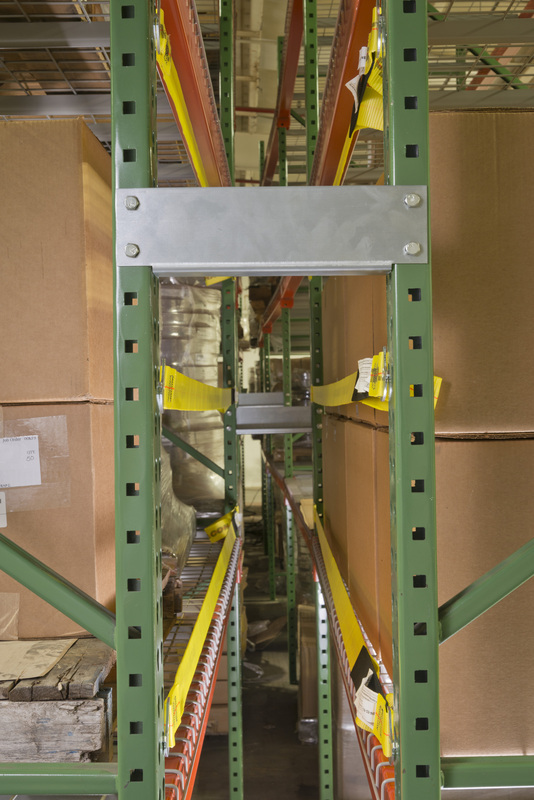 Our line of pallet rack safety products ensure warehouse flue space compliance with fire protection standards in the United States. The Rack Safety Strap, designed to mount to the back of the storage rack, prevents large and palletized items from pushing into the longitudinal flue space. According to the National Fire Protection Association, the longitudinal flue space, which is the vertical area between storage racks, must remain clear at all times. This allows heat from a fire to vent upward and ceiling fire sprinklers to work effectively. 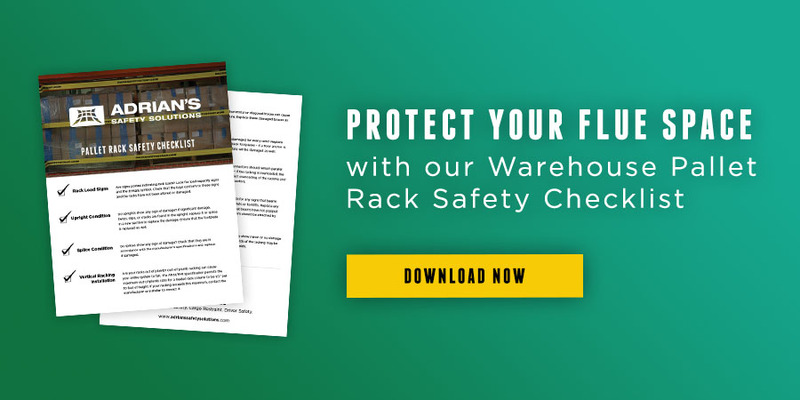 The Rack Safety Strap and Fixed Rack Safety Net help maintain a clear flue space, as well as prevent inventory from being pushed through into an adjacent rack or open work area, potentially causing injury. Insurers for warehouses, manufacturing and retail companies are increasingly requiring flue space compliance measures to prevent fires and worker injury. According to Dew, the Rack Safety Strap and Rack Safety Net, which provide full top-to-bottom coverage of the back of the rack, install in seconds by attaching to the rack upright. Read more about warehouse flue space compliance.